Christina joined Gateway Commercial, now Colliers International, in January 2014 and supports both the marketing and research departments. In addition to her marketing and research duties, Christina is also the head MCA Coordinator for the St. Louis office. Christina is a graduate of the University of Missouri - St. Louis with a Bachelor of Arts degree in Psychology, specializing in Industrial Orginizational Psychology with a minor in Criminal Justice. Allison joined Gateway Commercial, now Colliers International, in May 2010 and performs economic and statistical analysis to develop accurate and timely market data covering the St. Louis region. Allison is responsible for the collection, analysis, and reporting of market research. She prepares market reports and presentations, compiling, calculating and analyzing markets statistics, for the St. Louis office and industrial real estate markets as well as for client-specific projects. Allison maintains a market transaction database, continually ensuring the accuracy and validity of the information. She produces statistical and trend analysis materials to assist the transactions services professionals to best meet the needs of their clients. Allison develops and implements the company’s research strategy ranging from database creation, data quality control, statistical interpretation, trend analysis and ways in which the research system can best be transformed into usable reports. She is responsible for producing all reports and data for use in analysis, marketing and presentations to corporate clients. She is dedicated to creating meaningful statistics reports that contain impactful information in an approachable way. Allison is active in the market, participating in events with local industry experts in order to remain up-to-date on the St. Louis market conditions. As Director of Marketing in St. Louis, Molly is responsible for the implementation of the Colliers International brand standards, oversight of the creation and development of marketing-related materials, and strategic marketing initiatives. She specializes in new business proposals, client presentations, event planning and property marketing. 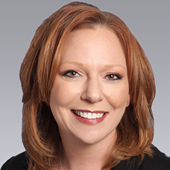 Molly has worked in the commercial real estate industry since 2003. She has been involved in a wide range of responsibilities in both the marketing and research departments. 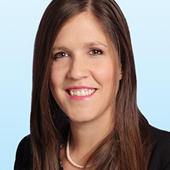 Prior to joining Colliers International, Molly worked as the director of marketing and research with Gateway Commercial, a Cushman & Wakefield affiliate. She is a licensed salesperson in the state of Missouri.